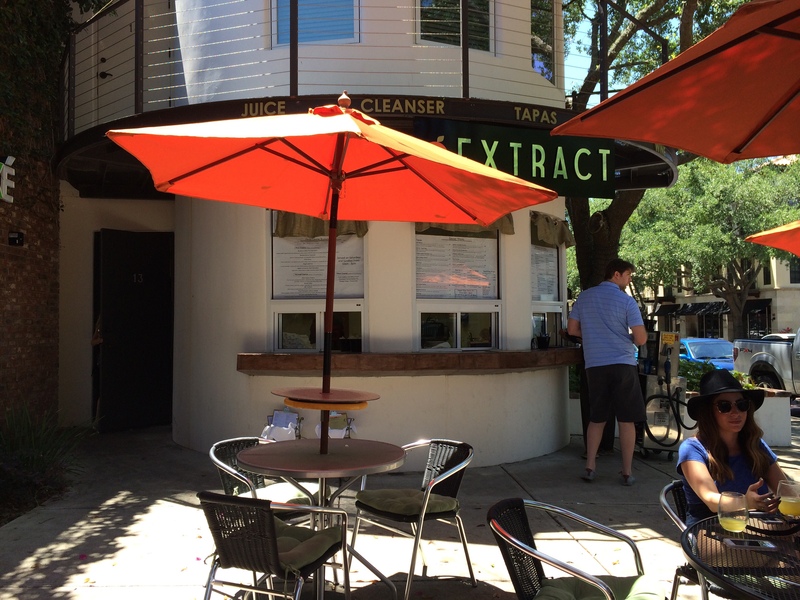 I’ve driven by EXTRACT Juice & Tapas bar in Winter Park several times, and gazed at the folks who seemed to be enjoying its charming atmosphere as I breezed by. This past weekend I got to experience this health-conscious neighborhood joint, and I’m happy to say I’m a fan! Now, I’m the first to say (and it’s quite clear by looking over our “Food” section) I’m not the healthiest eater in the world, but I’m taking strides to make better decisions, so I was certainly eager to check-out EXTRACT. 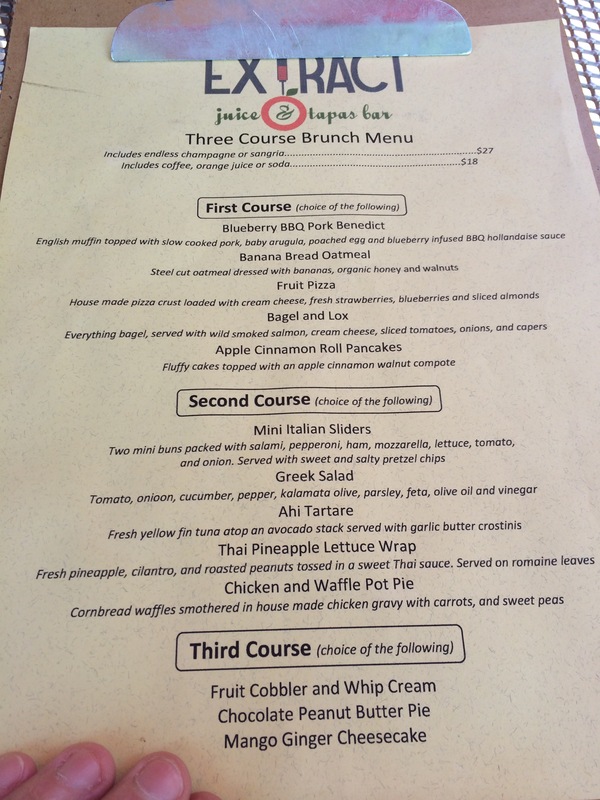 My dining buddy and I both opted for the great little brunch offer they’ve got going – three courses and all-you-can-drink Sangria for $27! Yup…and we did NOT drank all we could drank! Let’s take a look. Please keep in mind their brunch menu could change at any time. This is just what it looked like when we dined here. There’s a great variety on the menu, and diverse enough that just about anyone should find something they like. Scroll through the gallery to check out all the amazing noms we enjoyed! I can honestly say everything was really good, but for me the standout had to be the mini Italian sliders with pretzel crisps. So simple but so tasty! Tomato, onion, cucumber, pepper, kalamata olive, parsley, feta, olive oil and vinegar. Steel cut oatmeal dressed with bananas, organic honey and walnuts. English muffin topped with slow cooked pork, baby arugula, poached egg and blueberry infused BBQ hollandaise sauce. Two mini buns packed with salami, pepperoni, ham, mozzarella, lettuce, tomato and onion, with sweet and salty pretzel chips. This is just what’s on the brunch menu. There are many, many other dishes on their regular menu, including affordable smoothies (some local places charge a buttload for smoothies!). It’s also a dog-friendly establishment so if you’re looking to get out with your pooch on a beautiful Central Florida summer afternoon, go for it! See what folks are saying about EXTRACT on Yelp! Have you been? We’d love to know about your experience.